The Coaching Game is an enjoyable, thought provoking game that allows us to release old patterns by taking time out and looking at life from different perspectives. All you need are the participants and The Coaching Game will take them to unexplored territories of the mind and creative solutions. Coaching has never been so effective and so easy - Priceless! 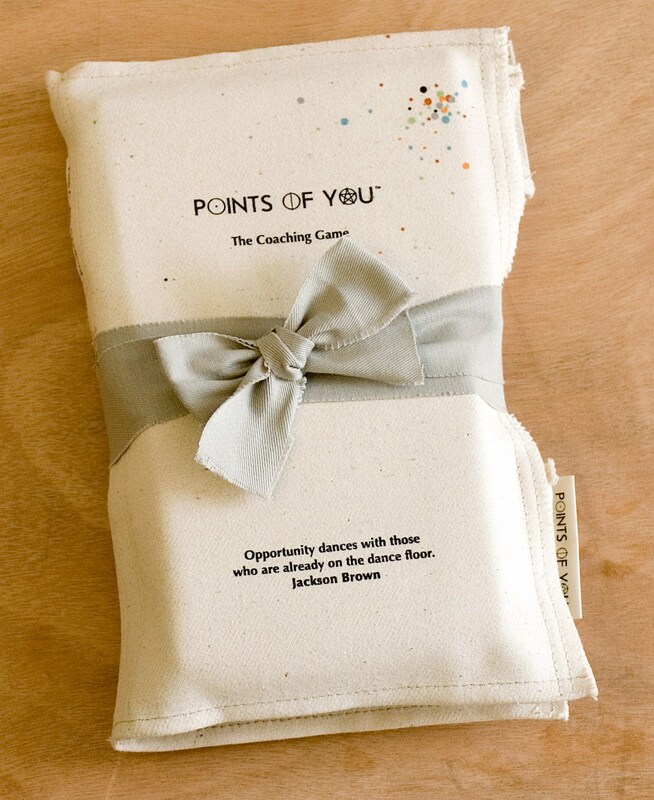 Points of You™, creator of The Coaching Game, presents an inspiring and creative game, for personal and professional development. The Coaching Game is a down to earth and aesthetic game that touches our inner world through 65 familiar topics. 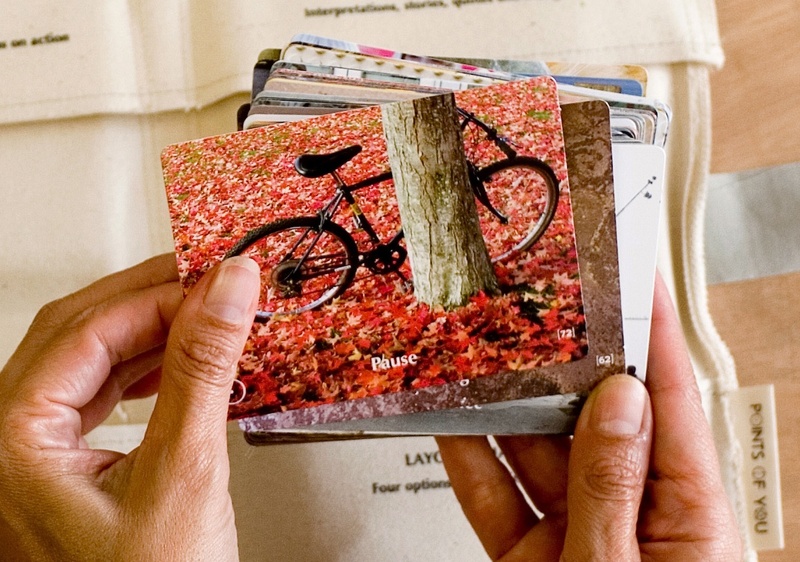 Each topic has a card that represents endless points of view. It has become an international success and is a unique experience of inspiration, learning and development. 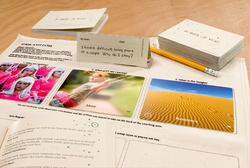 The game includes 65 coaching cards (taken by 200 international photographers), a 165 page coaching book containing stories, quotes and questions from many points of view, a process chart and a notepad for insights. It's packaged in a unique fabric and features an unusual design. The manufacturing process is created from recycled materials that are biodegradable and environmentally friendly. Due to its ability to empower and adapt to any process, The Coaching Game has turned into a valuable and practical tool for professionals such as therapists, life and business coaches, counselors and facilitators. It can easily upgrade any organizational activity, transforming them into extraordinary, unforgettable personal encounters. The Coaching Game is designed for professionals, yet makes a great tool for individuals. It is fun and easy to use and can be played socially with family and friends. Since its launching in 2007, The Coaching Game has sold tens of thousands of copies and has been translated to English and German (from Hebrew). Points of You is a leading company in the game industry that has created games for inspiration and shifting perspectives used by individuals, professionals and organizations around the globe. The Coaching Game is the outcome of work, patience, dedication and lots of faith of two people who followed their dream; Efrat Shani (43) a life and business coach from the creative domain with a background in design, theater and management and Yaron Golan (34), a life and business coach with a background in psychology and business management. As part of their vision, they strongly believe in empowering the weaker strata of society, therefore, the manufacturing and assembly is carried out in rehabilitation centers for prisoners and special needs centers. For more information please visit our website http://www.thecoachingame.com. The Coaching Game - Outside view"Opportunity dances with those who are already on the dance floor." Jackson Brown Authenticity card "When you seek approval from someone else, you are in fact giving him the power to make decisions about your life." 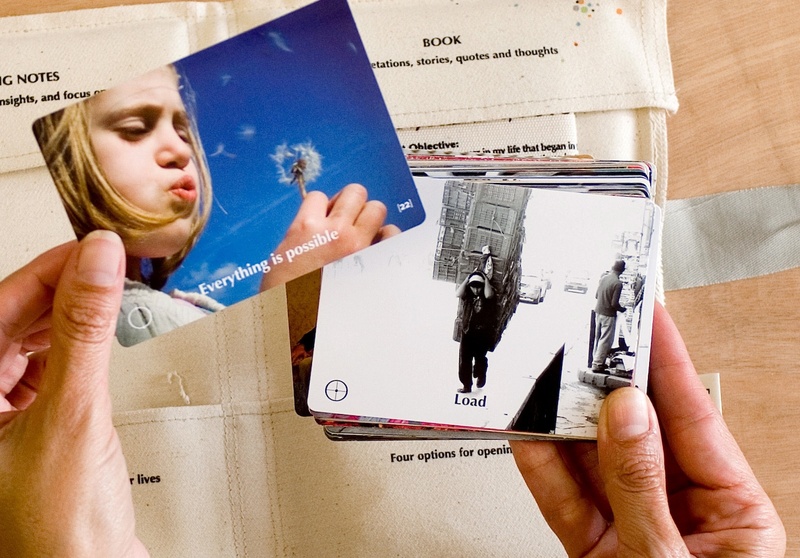 Fredrich Ebert Load or Everything is Possible cardsWhich card would you choose? Habits Card"Habit is a second nature which prevents us from knowing the first." Marcel Proust Pause Card"I shut my eyes in order to see." Paul Gauguin The Coaching Game as an Ice breakerIt's a workshop in a box!